Under the Wake Up Schools initiative, the Plum Village international community has begun offering educator-focused retreats, workshops, and courses through its international monastic centers. 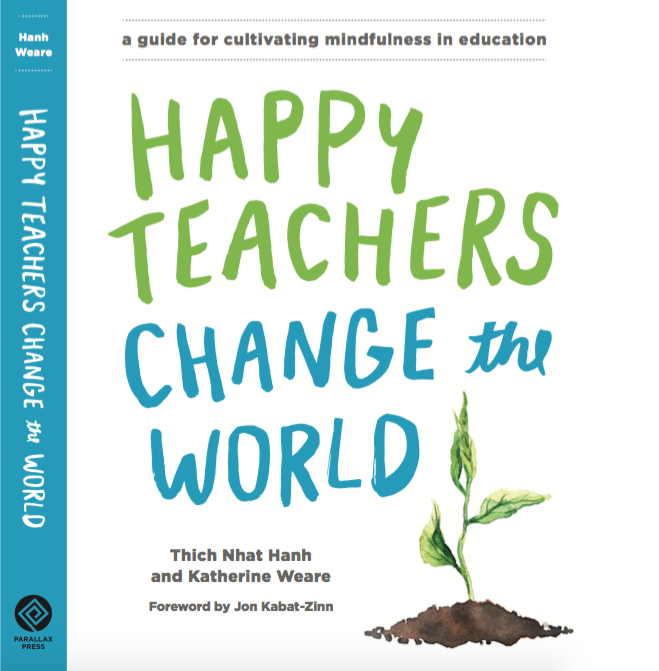 A secular curriculum for K-12, based on the core mindfulness practices of Plum Village, is also being developed. Pilot programs in schools began in fall of 2012. From October 8-10, 2012 workshops on mindfulness were held with students at Vasant Valley School in New Delhi. These workshops were led by monastics and lay teachers in the tradition of Zen Master Thich Nhat Hanh and organized by Ahimsa Trust. Over this three day period, students from grades 3-12 were seen for a two hour workshop each day. The total time spent with each class was approximately six hours. The approximate size of the classes were ninety students each, for a total of nine hundred students participating in the workshops over the three days. The focus of these workshops was to teach tools of mindfulness that the students could us in their everyday lives to increase their capacity to be calm, handle strong emotions such as anxiety and stress, while also developing skills to heighten their awareness, concentration, and critical thinking. The specific activities that took place during the workshops included: guided meditation, eating meditation, walking meditation, pebble meditation, lectures on handling strong emotions, technology, and sexuality (including developmental changes in the body and mind), motivational songs, and deep relaxation. At the end of the three day, grades 10, 11, and 12 (ages 15-17) were given feedback forms. They were asked to fill in these forms so the organizers might better develop programs for the future. The students were given the option to not write their names on the form so they could remain anonymous and therefore give candid feedback. The feedback from the students was overwhelming positive, enthusiastic, and heartfelt. For this initial report we will be summarizing responses to questions 1-3 and question 7 from the feedback form, along with some example direct quotes from the students answers to these questions. Questions 4 to 6 are direct yes or no answers and they will be analyzed and put into graph form when time permits.